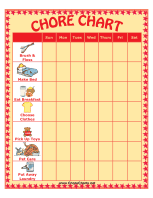 174 free printable chore charts, behavior charts and reward charts you can download and print for free. 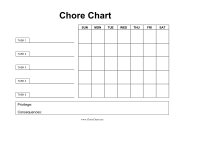 Or, download customizable blank chore charts for just $5. 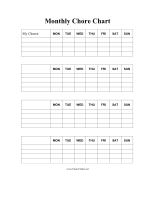 Great for motivating kids and tracking goals at home or in school. 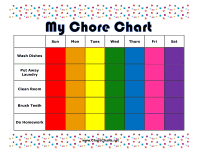 These chore charts are easy to download and print. 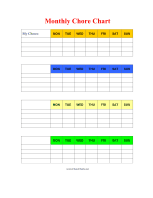 Each page is available in two versions: a free version and a $5.00 editable version. 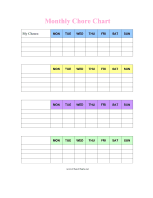 The $5.00 versions are Microsoft Word .DOC files that you can edit to your specifications, adding your child's specific chores, for example.